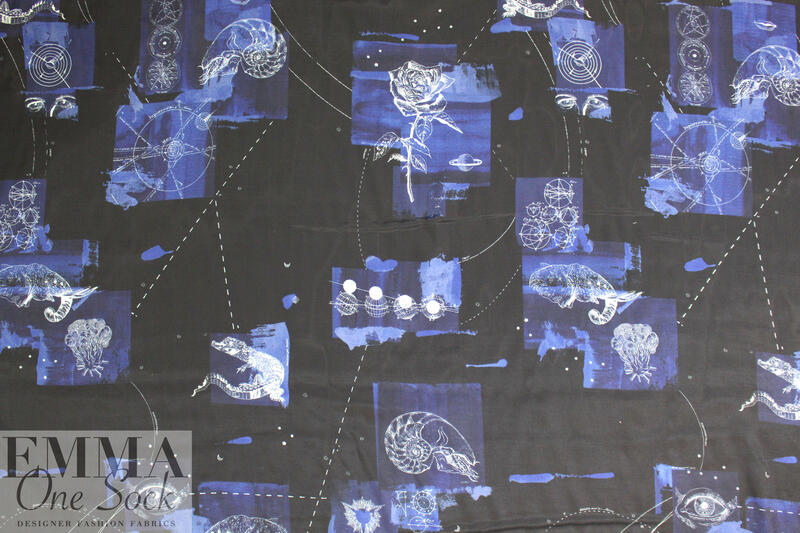 From Italy, this is a gorgeous quality printed drapey viscose woven made for L@nvin. 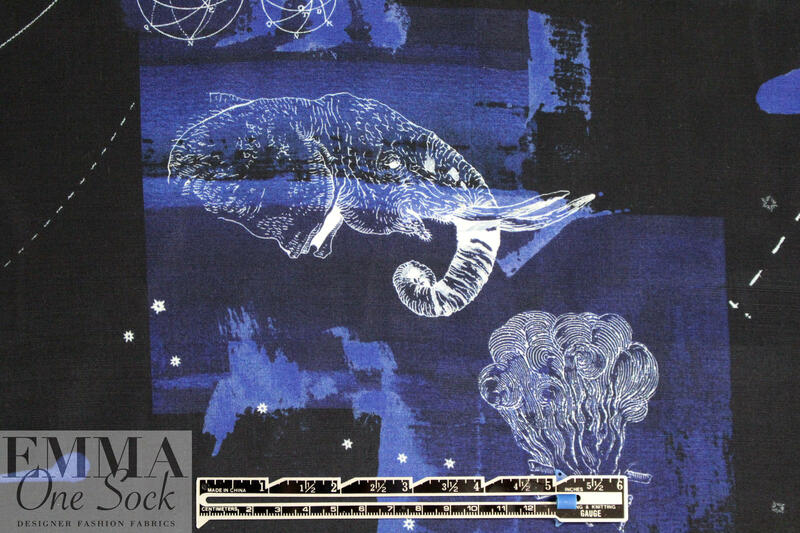 The 'celestial menagerie' design features darkest midnight, cobalt, sapphire, pale blue and white (PANTONE 19-4010, 18-4041, 17-4037, etc.). 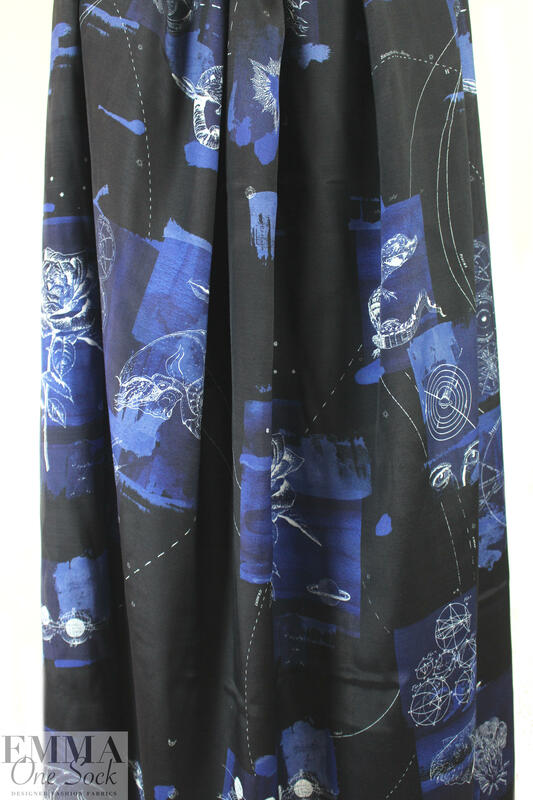 It is lightweight yet nearly opaque with a soft drape that has a bit of body, and is a perfect choice for blouse, top, tunic, kimono, dress, skirt, etc. Dry cleaning recommended. Test first if you wish to hand wash and hang or lay flat to dry.